Price range reflects the differences in labor markets in different regions of the country. Check with your local Duro-Last Roofing Contractor for more exact pricing in your area. For buildings with simple roof designs that have either a wood or metal deck you should expect to invest approximately $2.50 - $3.75 Per SqFt. to have Duro Last installed. Flat roofs in this price range will have minimal roof penetrations, few HVAC curbs, and be fairly wide open with easy access. Metal Edge trims such as coping caps, Drip Edge, and 2 pc compression metal may or may not be included in this price depending on the size and quantity. Expect to spend and additional $1.00 - $3.00 per SqFt. if the building has a concrete deck. Concrete, light weight concrete, and tectum decks must be pre-drilled in order to set fasteners and slow roof top production and require additional fastening components. A metal roof retro fit is when Duro Last is installed over top of an existing metal roof and is a great alternative to metal roof coatings. Insulation is cut and placed in the space between the ribs of the metal roof panels. Then another layer of insulation is used to flatten out the surface so the PVC membrane can be installed. Expect a Metal roof retro fit to cost somewhere between $2.75 - $5.00 per SqFt. installed depending on the type and size of the insulation you choose. Duro-Last is the Flat roofing membrane of choice for most major restaurant chains. Red Lobster, Olive Garden, Burger King, Dairy Queen, Taco Bell, Buffalo Wild Wings, KFC, McDonald, Panda Express, Bob Evans and many more. Duro Last is one of the few flat roofing membranes on the market that can withstand the grease and animal fats found on restaurant roofs. 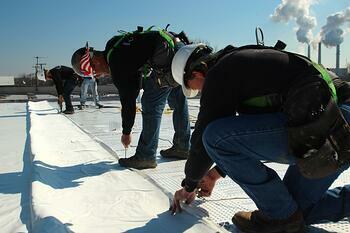 Expect an investment of $3.75 -$6.00 to replace a restaurant roof with Duro-Last. This price will usually include the decorative coping caps and metal trims needed to match restaurants chains colors and facade. Industrial and factory roofs with high foot traffic, many oversize stack flashing, class A fire ratings, large number of curb flashing, extreme temperatures, and roofs that are difficult to access will cost in the range of $3.50 - $7.00 per SqFt. Installed. Municipal and Government roofing projects are often specified by an architect and will include roof insulation packages, recovery board, and vapor barriers. In many cases these projects are prevailing wage jobs and can cost between $6.00 -$12.00 per SqFt. depending on the roof specifications and labor rate. 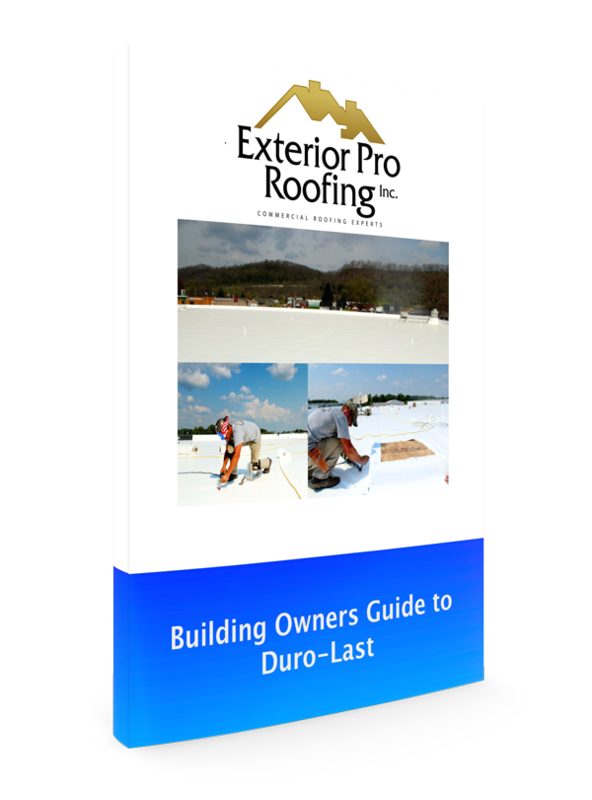 Learn what Duro Last Roofing is and the benefits the roofing system has to offer and compare Duro Last to other flat roofing systems.